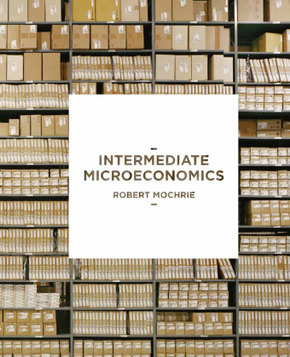 This innovative intermediate microeconomics textbook covers both standard theory and exciting topics and developments, such as behavioural economics and advanced game theory. The book\'s unique problem-solving approach encourages active learning, introducing the mathematical tools that underpin economic theory in an accessible, student-friendly way. PART I: MARKETS IN CONTEXT.- 1. Key principles.- 2. Perfect markets.- PART II: RESOURCE ALLOCATION FOR PEOPLE.- 3. The budget set.- 4. Preferences.- 5. Utility functions.- 6. The most-preferred, affordable bundle.- 7. Demand functions.- 8. Price changes.- 9. The CES utility function.- PART III: RESOURCE ALLOCATION FOR FIRMS.- 10. Production.- 11. Cost functions.- 12. Costs and planning.- 13. Firm supply in perfect competition.- 14. Equilibrium in perfect competition.- PART IV: MARKET POWER.- 15. Monopoly.- 16. Price discrimination.- 17. Oligopoly.- 18. Game theory: concepts.- 19. Game theory: applications.- PART V: WELFARE.- 20. Exchange.- 21. Production and distribution.- 22. Externalities.- 23. Public goods.- PART VI: BEHAVIOUR.- 24. Personal choice.- 25. Inter-temporal choice.- 26. Choice and risk.- 27. Rationality and behaviour.- PART VII: APPLYING GAME THEORY.- 28. Games with imperfect information.- 29. Product differentiation.- 30. Auctions.- 31. Afterword.